Really can't complain much for what they were. I had so much going on the last year I haven't been able to do a very good job managing my stock. Getting dry here and it was time to get rid of some before the bahia turned brown. 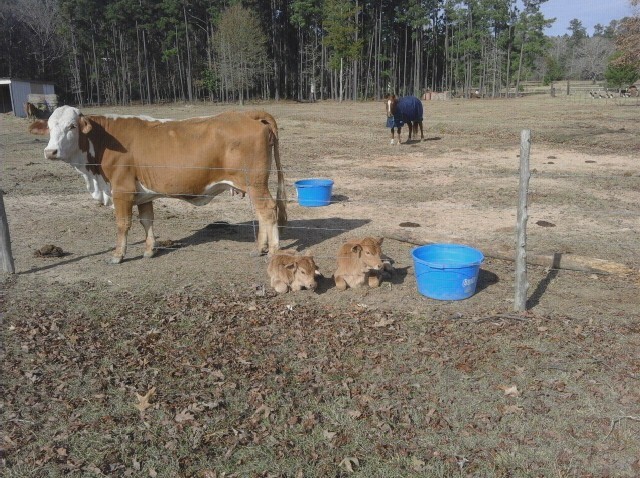 This is a good momma cow. #561. The wet bag retard. 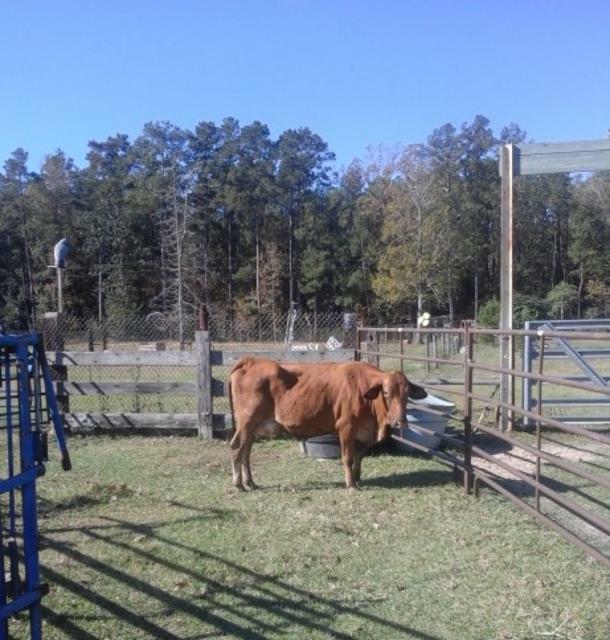 2 yrs ago, after having a dead calf, when I got her up a few minutes later, she took off like a bolt of lightning across the pasture, ran over the tongue of a trailer, thru some other stuff, then wheeled around an went full bore thru a 5 wire fence, 20 yards later, skidded to an abrupt halt, looked about for 2 seconds and went to grazing as if nothing had happened. It's dam sure time to hold em or fold em right now. Lots of areas don't get considerable Rain soon and alot of folks are gonna be in a real spot. Skinny cows got as low as .25 this week. That's way less than during drought. Last edited by jltrent on Sat Jun 09, 2018 9:11 pm, edited 3 times in total. i have 3 older culls to take in. i guess around 800/each would be OK since I paid around 1000 each 10 years ago for them and I had not idea how old they were then.. They are probably around 16 years old.. black baldies... still in good shape but the bags are toast. Sort of like selling your scrap iron pile......enjoy the extra cash. 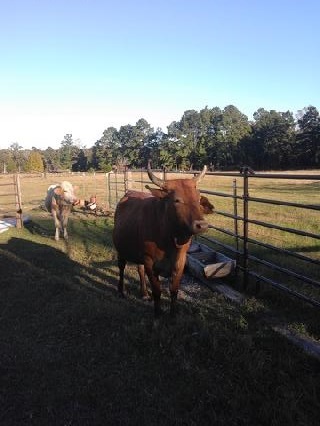 I can see people dumping cows to save pasture and due to hay shortages . We lost the first hay cutting in this area. Really weird spring super wet and night time temperatures too cool for our grass to grow. Rain turned off cool temperatures remained, when night time temperatures got right no rain. We should be on the third cutting here and are just finishing the first. Pastures are not in good shape either. I took an 11 year old open Simm/Angus in this week. 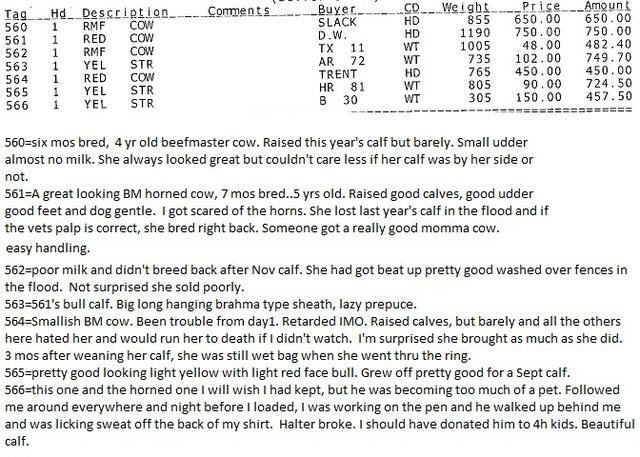 She was losing condition, down to 1510 lbs, and only got .52 per/$785.20. But I was glad to get rid of her! Caustic Burno wrote: I can see people dumping cows to save pasture and due to hay shortages . It's getting close here not much wheat hay put up because it wasn't worth cutting, grass is growing slow if previously overgrazed not hardly growing at all. How many grazing days worth of grass do you try to have banked up ahead of the cows? Allen, did you ever start getting good rains. What will you do with the wheat, it sure wasn't worth combining. A lot of wheat was abandoned, grazed out or hayed, there was some cut for grain but yield was low. Rain has been spotty and variable, I planted some haygrazer on a good shower and got it up with another good rain on it since planting, another field on that place has a good stand of crabgrass. I've planted some more haygrazer on the second rain that is starting to come up, they keep giving us a chance of rain and taking it away before it gets here. If it doesn't improve will there be lots of cattle sold there before winter. Allenw wrote: Rain has been spotty and variable, I planted some haygrazer on a good shower and got it up with another good rain on it since planting, another field on that place has a good stand of crabgrass. I've planted some more haygrazer on the second rain that is starting to come up, they keep giving us a chance of rain and taking it away before it gets here. What percent of the time do you get a good crop yield with haygrazer? We took 8 cull cows in last Tuesday. Range from 850# to 1175#. Got from $.46 to $.63 lb. Prices were better than a couple weeks ago when they were in the 40's and low 50's. I had a 1/2 jer/ 1/2 angus cow that weighed 1125# and brought just under $475 after the commission. She looked dairy. The calves the previous friday were in the 350 to 500# and brought anywhere from $1.44 to 1.65 /lb. The dairy cross calves I raised on the jersey & guernsey nurse cows brought in the 80's which is about average for here right now. Sorry for you guys down south with no rain. Another forum I was on said that the hay guys are not getting much/any and the one person said for all the other small farms to get their hay now as there might not be any. Is there any "normal anymore" ??? Last edited by farmerjan on Sun Jun 10, 2018 10:20 pm, edited 1 time in total.